Here is the part that is about Scotty, to read the rest click the link below. American Idol Winner, and Platinum Selling Recording Artist "Scotty McCreery"
Scotty McCreery was the first to hit the stage. The stage was a basic set-up with the band and a cloth with his name on it, but what made his set was the performance. He didn't need fancy lights and lasers to put on a show. Running from one side of the stage to the next, Scotty made everyone feel like they were wanted. In a 25 minute set, he was able to perform 7 songs from his platinum-selling debut CD, including the two singles, on the stage. I'm not going to lie, I voted for Lauren Alaina during Idol, but after this show I felt Scotty deserved everything he has gotten and allowed the crowd to get hyped for The Band Perry. 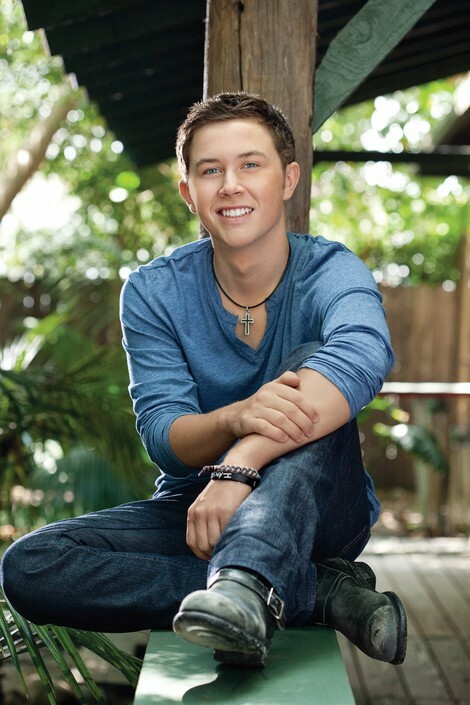 Garner native Scotty McCreery has already won "American Idol" and gone platinum (His debut album sold more than 1 million copies in three months), but what does the future hold for the country crooner? 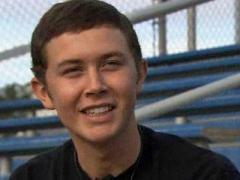 In an exclusive interview with WRAL's Debra Morgan, Scotty opens up about where he plans to apply for college and how he is balancing life as a high school senior and music superstar. It all happens tonight at 6 p.m. on WRAL News. Scotty McCreery has been nominated for ACM Best New Artist OF The Year . 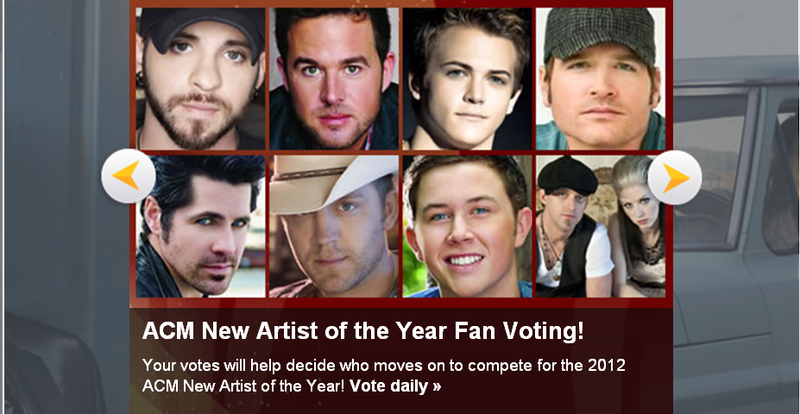 Voting begins today 1/16/12 for ACM Best New Artist Of The Year Category. Your votes will help determine the final nominees for the 2012 ACM New Artist of the Year. Please take a moment to make your selection, then complete the registration form and submit your ballot. You must be 13 years of age or older to vote and register. You can vote once per day — daily voting sessions are based on Eastern Standard Time. 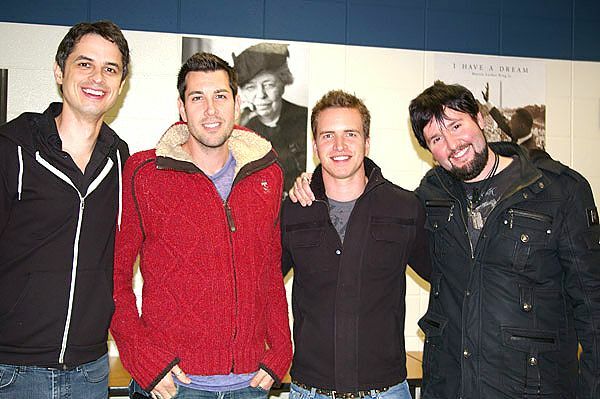 Voting ends at Noon ET on Monday, January 30.
http://www.gactv.com/ <--- Go here to vote. Hailey and I are working on a page for the band members. Hopefully, we can get that up soon for you guys. But in the meantime here is what Tex68 posted on Idol Forum about Scotty's band members. Jayme handles the technical aspect of the band and I think is the band manager. There's a thread in this forum lately (can't recall which one) where there were photos of him (Jayme), Scotty, Matt, Joey(drummer), and Jeffrey(keyboard). It was one of those performances where Justin(guitar) and Tripper(steel pedal) were not with them. The Trouble With Girls - This is not a close up video but the audio is FANTASTIC!